Check out these babies… yep, it’s the holy grail of hair straighteners, GHD’s in a pretty colour. These straighteners are part of the new colour collection that includes four shades – ‘red lust’, ‘blue serenity’, ‘purple indulgence’ or ‘green envy’. All bit of a fancy way of saying that you can now buy the classic GHD straighteners in red, blue (actually more of a turquoise IMO), purple or green. 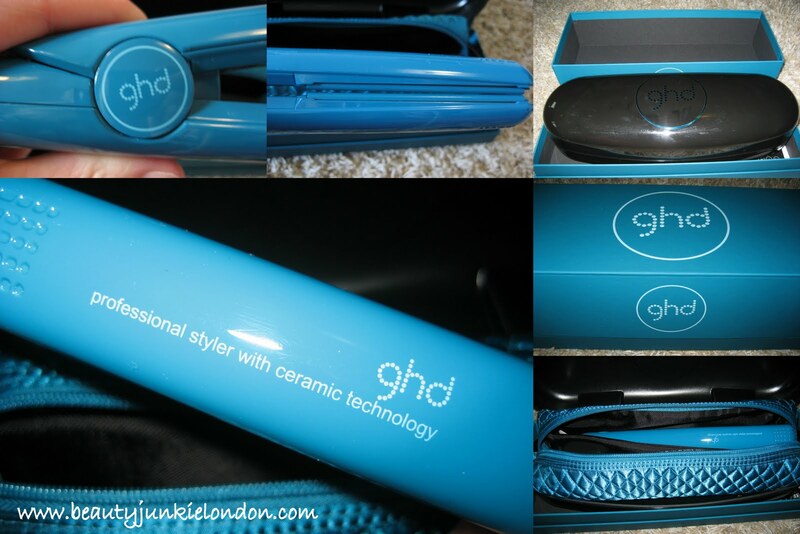 Technically, they aren’t any different to the normal GHD straightener – they are just a new colour. But these will appeal to anyone who is a colour magpie, like me – especially since turquoise is my favorite colour (closely followed by purple). The packaging is gorgeous, if a little excessive (there is a box, followed by a plastic case, followed by a quilted heat-resistant pouch). I haven’t given these a proper test yet, but I am a big fan of GHD – I still have a pair that I bought in 2002 that still work perfectly well – so truly think that they are worth the investment (I have passed on the 2002 version to my sister, so I’m not just hoarding hair gadgets). If you want some good straighteners then these are still the best in the market. The straighteners in the colour collection cost £129, £10 more than the standard colour version. For more information go to the GHD website. These straighteners were sent to me free of charge for review purposes. All opinions are honest and impartial, regardless of source. They are such a nice shade of blue. I have the Pure White one’s and also the wide plated one’s for when I had long. I’ve never used another straightener, they defo are the holy grail =). Oh I would love a coloured GHD. So pretty!